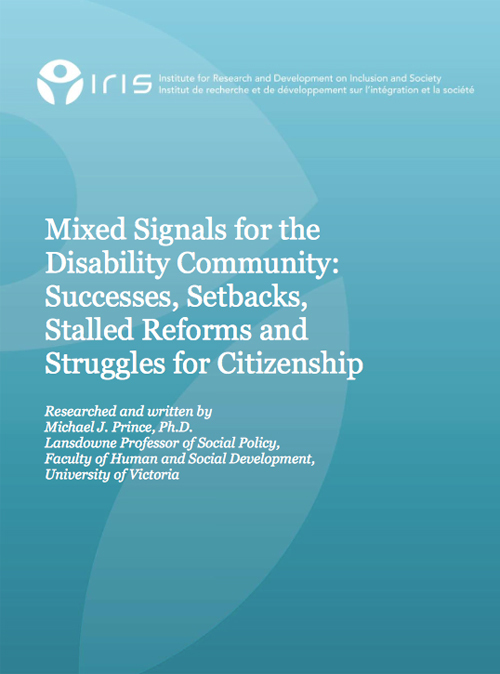 This paper provides a look at various policies, programs and practices that relate to Canadians with disabilities. The purpose is to present a sense of the state of affairs for disability organizations—service providers, consumer organizations, and advocacy groups—in contemporary Canada. The paper advances an argument for strengthening community capacity and developing active partnerships among governments, the disability community, and the community-at-large, towards the goal of eliminating or reducing, as much as possible, the mixed agendas encouraging organizations to work together on issues of common interest.